The written and spoken word is one of the most important tools of communication. Its use can shape social behaviour and viewpoints to a drastic extend. Considering the language used to describe ethnic groups and social differences, it is a fact that terms commonly used only one or two generations ago are now considered offensive and might even be punishable when used in public. [2.] 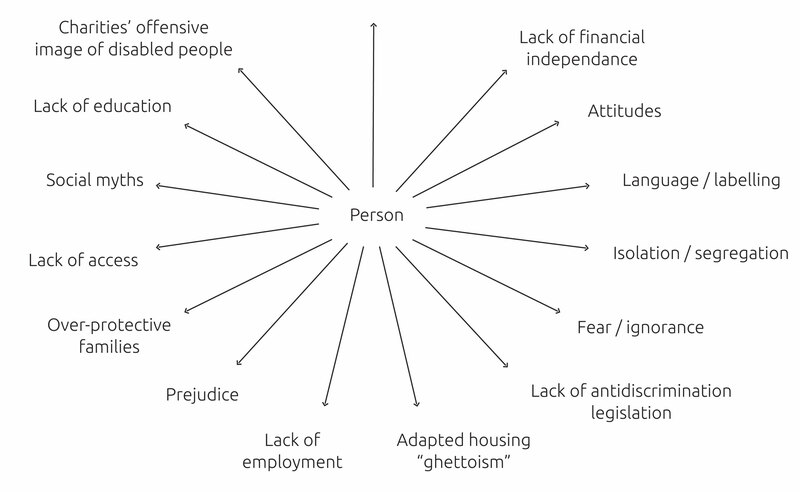 Reconsidering the terminologies and names used to describe disability and a disabled person can already create difficulties and feelings of oppression to those affected. 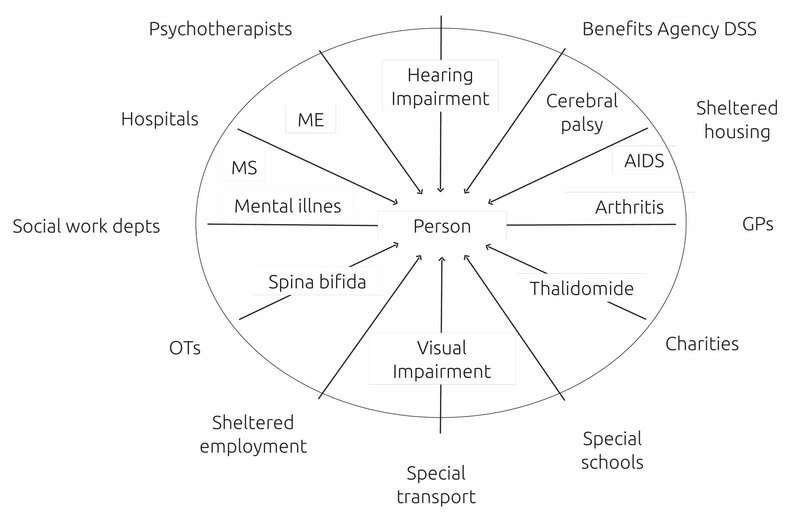 There have therefore been numerous efforts to categorise and establish acceptable language to address and refer to people with disabilities. The main statement of the social model of disability is that it is not a person’s physical condition that is disabling but society and the way they marginalise people. It is the ‘barriers’ present in society that truly disable people.